John Drury shared the same problem many truck drivers face when life on the road makes it easy to pile on the pounds and much harder to get regular exercise. By 2010, the 6’7” tattooed truck driver was tipping the scales at 400 pounds and he decided it was time to take action. 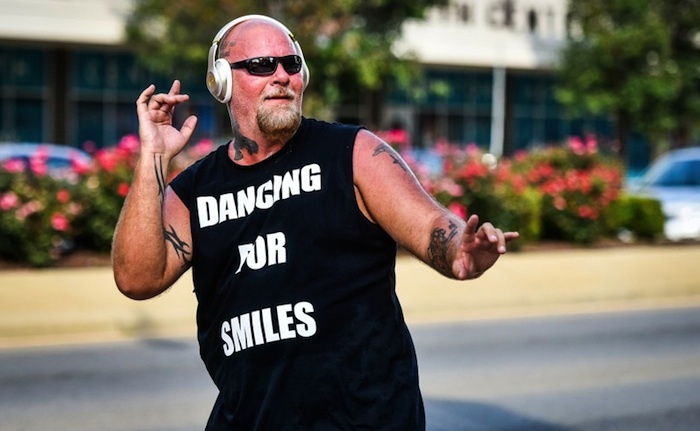 He turned to his love of dancing to shed over 100 pounds and has since become known as the “Dancing Trucker” inspiring others to follow his lead. Drury says he was always a big guy but after 10 years on the job as a long-haul truck driver working 70-hour weeks and eating fatty foods, he eventually gained 140 pounds. By the time he was in his early 40s, he was also put on medication because his blood pressure and cholesterol had become so bad. But it wasn’t until a fellow truck driver and friend who weighed 450 pounds died suddenly from complications with diabetes that Drury realized he needed to change his ways. A husband and father of two young boys, he wanted to make sure he would be around for them. When he heard a radio promotion for a “biggest loser” competition in his home of Cincinnati, Drury signed up and got a three-month gym membership that included Zumba classes as the part of the package. 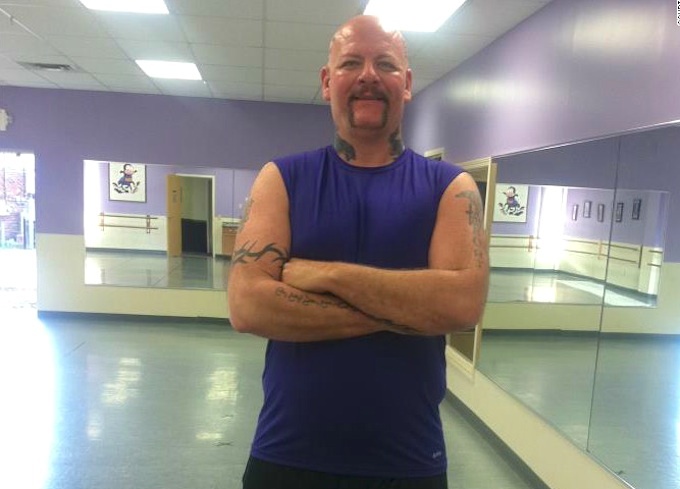 With his wife putting him on a healthy diet and attending Zumba classes at every chance, the truck driver dropped 54 pounds in the first three months. Not only did he win second place in the biggest loser in the competition, Drury also became a certified Zumba instructor and began teaching classes when he wasn't on the road. Drury says his love of dance stems back to his early days of break-dancing and hip-hop with his friends in the streets of Westwood. 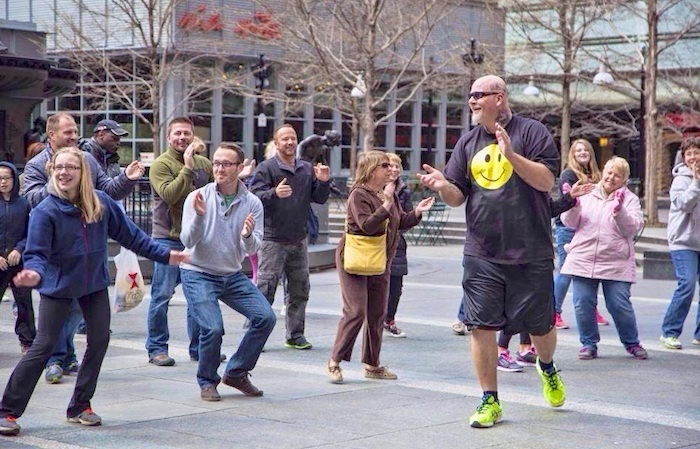 While the Zumba classes were what inspired him to get back in the groove, he eventually developed his own style of dance, "Big John's Dance Fitness," and began teaching at studios around town. Today, he drives 50 hours a week for PTG Logistics and teaches his weekly dance class on Sundays. He also spends his free time dancing on the streets of downtown Hamilton to stay in shape, motivate others or at least get smiles from passing strangers. Drury’s next move is to produce a "dance party" fitness video focused on motivating overweight people to get their groove on and show them that exercise can be fun. He sees his fellow truck drivers as the ideal audience and eventually plans to sell his fitness video at truck stops across the US. "They could dance in their trucks. The bottom line is I'm a full-time truck driver, but I have a passion and I dance. Some people just need a little something like that to get going," he says. Getting up the nerve to dance in front of my truck in the truck stops. I was going to do yoga but figured that could be too easily misunderstood and get me shot or beat up. Good for him! Big trucking companies should provide and enroll their drivers in physical activity programms!